"A very simple soup that gives off a complex aroma and flavor. 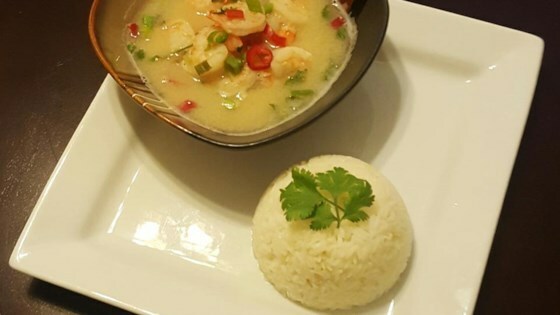 One taste of these prawns in the spicy and sour broth will send your taste buds to the tropics." Very delicious! I'm sure it's even better with the lime leaves, which I didn't have, but even without it was very good, and it's quite easy to prepare. I love this recipe. It's simple but delicious. I used canned straw mushrooms, too. I've never seen them fresh even in well-stocked Asian markets here in Canada. Do try this recipe! !